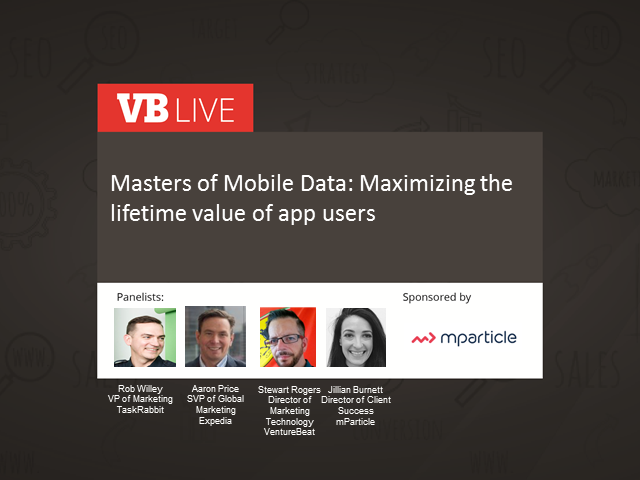 Join us for Part 3 of this compelling 4-part series on mobile data. After all, it’s not news that when it comes to apps, consumers can be very fickle, engaging for one download and then abandoning the app. In many ways, an app marketer’s real job only begins after the install. Boosting engagement metrics and increasing the lifetime value of app users is what really matters more than ever. A compelling value prop and smart design are necessary but not sufficient to keeping people engaged. You also need to apply data and technology on an ongoing continuous basis to strengthen and sustain your user relationships, and in turn boost the LTV of the average app user by extending both their “lifetime” and their value. Furthermore, being proactive about managing churn, and retargeting users outside of the app itself, can mean the difference between success and failure. Register today for this free executive session!